Choose Add layer. 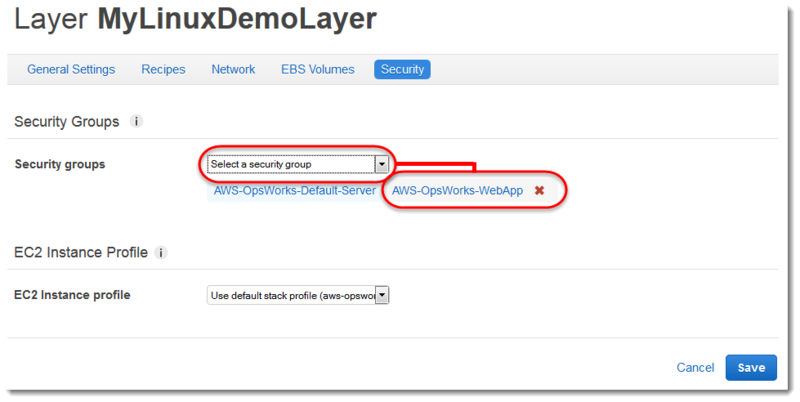 AWS OpsWorks Stacks creates the layer and displays the Layers page. On the Layers page, for MyLinuxDemoLayer, choose Network. On the Network tab, under Automatically Assign IP Addresses, verify that Public IP addresses is set to yes. If you've made changes, choose Save. You now have a layer with the correct settings for this walkthrough. In the next step, you will specify the app to deploy to the instance.